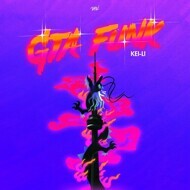 GTA FUNK is both a reaction to and a reflection of the 'Toronto' sound, conceived during KEI-LI's move from the suburbs of Mississauga to the city of Toronto. The vast multiculturalism of the Greater Toronto Area (GTA) has given birth to a sonic diversity that goes far beyond the signature OVO sound associated with the city. With the world finally tuning in, this EP also enlists the help of fellow artists like Robotaki, Falcxne, Kemi Ade and Christopher Blacc, which allows him to showcase a funkier side to the city that the world hasn't been acquainted with yet.